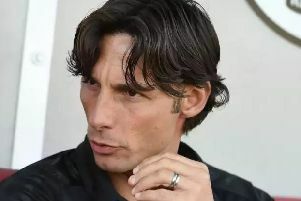 Gabriele Cioffi was unveiled as Crawley Town’s new head coach on Friday. And you can see his first press conference in full in our video above. The 6ft 6ins Italian’s first game in charge will be Saturday’s game against Morecambe.